Good Choice Reading: Insanity by Lauren Hammond Blog tour -- Guest Post + Giveaway! 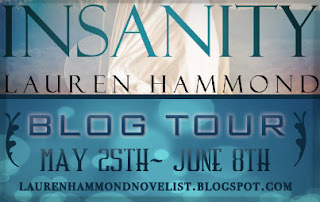 Insanity by Lauren Hammond Blog tour -- Guest Post + Giveaway! Perfect time for writing: Day or Night, and why? When it comes to the perfect time for writing, I try to do it early in the morning or very late at night. There seriously isn’t enough time in the day for me to get everything down.I always make sure I have my iphone with me, no matter where I am because when inspiration hits, I have to write the words down or I’ll go back to the WIP a few days later and 9 times out of ten I forget what they were. I feel luck that there’s a little notepad on my phone and trust me when I say this, lol, it’s full. Most people might not know that I’m also a literary agent. So I really try to separate my writing time from my clients’ time. They get most of my day. So all in all, I’d say that my perfect time for writing is both day and night or whenever I get free time. I wake myself up at between 5:30 am and 6:00 am every day. Then at night I take a notebook up to my bedroom and write free-hand. I’ve come to discover that you never know when your character is going to have something to say, so it’s best to be prepared, lol. If you get a chance, check out Insanity! And their plan was set in motion, until tragedy struck and for some reason, Adelaide wound up in The Oakhill Institution for the insane. And after Damien follows her there to aid her in escaping, Adelaide slowly begins putting together the pieces of her memory that are missing. 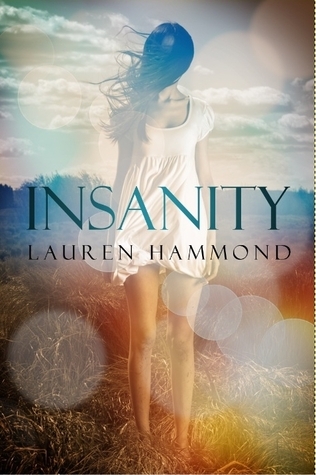 1 ebook copy of INSANITY to one lucky visitor! This book sounds so good! What a nightmare - waking up in a mental institution and not knowing how you got there! Scary!!! I really like the tips for when to write - I can never find the perfect time, though is any time ever perfect?? I really want to read this book. It sounds very good. This book sounds great I put this on my to be read list. This book sounds very interesting. I'd love to read it. I always thought the perfect time to write was anytime you could. LOL I remember going on many family vacations and sitting in a bumpy car trying to write in a spiral notebook. Thanks for the little insight into Lauren Hammond. Oh my gosh this book sounds fantastic. I love when YA novels take place in insane asylums, they're just so spooky and classic. Props to Lauren Hammond for finding the time for both jobs! Sounds really good!! Thanks for the giveaway! This sounds GREAT!!!! Thanks for the giveaway! Left my 2nd comment needed for this giveaway on Kindle fire giveaway. couldnt put the url in for some reason. Interesting that she is bi-lingual... she speaks both Author and Agent speak. A very rare talent. Aren't iPhone's the best? I don't know what I would do without it now, and that really ticks me off. Lol! I don't know how Ms. Hammond fits in the time for writing AND clients and still sounds so normal and relaxed. I would be crazy. You go girl! The book sounds awesome. It is on my TBR list as of now. And I love the name Adelaide. It is beautiful! I really like the cover, it's so pretty! That's a great question. The book sounds good. I write to pass the time and I love how she says she does her morning very early in the morning or very late at night. While I can't write in the morning, all my best writing happens at night, but one would normally think my grammar and writing would be all over the place in that case when it's not. This book sounds amazing. And i agree with Lauren that the best time to write is early in the morning or late at night and like her i keep a notebook near me or my phone so i can jot down ideas as they come to me. This also goes along with my book blog. I am definitely not a writer, I am an avid reader and my favorite time to read is late at night. I think that's the perfect time to do anything. There is nothing to distract you so you can actually get something done. But I do agree that anytime you get an idea in your head, you should write it down no matter what you're doing. Otherwise you would just forget it. I know I would lol. Thank you for taking the time to share with us today. I started reading the synopsis and thought okay sounds good and by the end I was I needs to read this one LOL I am looking forward to reading Insanity and thank you so much for the lovely giveaway opportunity. Wow, this book is really interesting. And Lauren seems to be a busy lady! So glad she can get books out to us! the book looks really intersting.